Has your idea been invented before? Over fifteen years ago, I left my position as a Corporate Patent Attorney at Kennametal to embark on my own legal business venture. Initially, I performed both attorney work and prior art searches for "new" inventions. Today, my primary focus is on performing prior art searches for inventors. Basically I employ the same databases and files used by a US Patent Examiner. The US Patent Office databases and files are updated daily and include all the US patents/publications dating back to 1790. I research this database along other foreign databases such as European, Japanese, Australian, Russian, Chinese and Canadian foreign databases. The US Patent Office is commonly believed to have the best prior art collection of technology in the world. Judging from my own thirty-five (35) years of experience in both testing and using many other searching services/facilities, I would agree that the US Patent Office database is where you will find the very best collection of U.S. patents. Kevin Weldon is a registered Patent Attorney admitted to practice before the US Patent Office and also licensed to practice as an attorney in the State of Pennsylvania. He has researched over 4,000 invention ideas for clients and patent applicants during his career. Kevin Weldon has received recognition for the quality of his research and legal work including a Bronze Medal from the US Patent Office. He has lectured and instructed Patent Examiners on both patent law matters and searching for prior art at the US Patent Office's Patent Examiner Academy. Kevin Weldon has searched, reviewed and prosecuted over 4,000 invention disclosures and patent applications during his career. He has a very diverse technical background having worked on invention disclosures in a large variety of fields. He has experience in researching metallurgical, mechanical, electrical and business method arts. A partial list of the inventions he has worked on, includes but is not limited, to rocket and jet engines, fire fighting apparatus, construction tools, oil drilling, green energy systems, medical equipment and procedures, control systems for printing and copying machines, computer algorithms, automobile control systems, automated fire extinguishing systems, internet business methods, clocks, chemical/physical vapor deposition, die-casting, sintering and welding. Likewise Kevin Weldon has had the opportunity to work on less complicated inventions such as drinking straws, garden sprinklers, paint sprayers, mining tools, garden equipment, baby toys, teaching methods, sporting equipment, fishing lures, kitchen wares, appliances, construction materials, decorations, bicycles and household cleaning apparatus. My clients have included some of the very largest companies in the world, mid-size companies, local businessmen, professionals, basement inventors and stay-at-home moms. I also have both foreign and domestic patent law firms as regular clients. If you like please do not hesitate to contact me for references from satisfied clients. 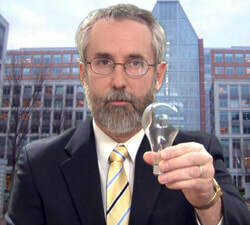 On August 27, 2007, in the Eastern District of Virginia Federal Court, Judge Gerald Lee ordered that the business named Patent and Trademark Institute of America (PTI) an invention promotion company to cease and desist from participating in any business that involves promotion of inventor activity or sales of inventor activity and a judgement of $61,000,000. More than 16,000 inventors paid over $60,000,000 to PTI and its related entities. On July 14, 2008, Pittsburgh based invention promotion company, Davison Inc., agreed to settle a lawsuit for over $10,000,000.00. In March of 2006, U.S. District Court Judge Gary Lancaster Ordered Davison, Inc. to pay $26 million to customers for using bogus claims about success to entice customers. The lawsuit was brought by the Federal Trade Commision.